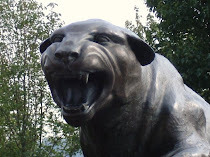 CARDIAC HILL - A Pitt Panthers Blog: Wild Guarantees? "I swear, man, I hope we play Pitt again," Harris said. "I swear. I hope we play them in the Big East Tournament. I swear. If we play them, we're not going to lose. I'm going to guarantee we're going to beat them. I swear to God we're going to beat them. I want them again. I promise." Now I don't want to say that Syracuse isn't a good team, but to guarantee a win against a top five team? That's borderline lunacy. 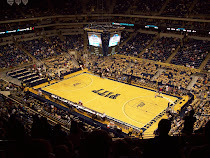 Pitt could of course lose to Syracuse - let's not forget this last game was at home and the game was fairly close until down the stretch. But a guarantee? Interesting...I swear.